Blue and Yellow Line trains are cut back to every 20 minutes each this weekend, but the biggest change for Metro may be the elimination of short-lived Saturday parking fees. WASHINGTON — Blue and Yellow Line trains are cut back to every 20 minutes each this weekend, but the biggest change for Metro may be the elimination of short-lived Saturday parking fees. 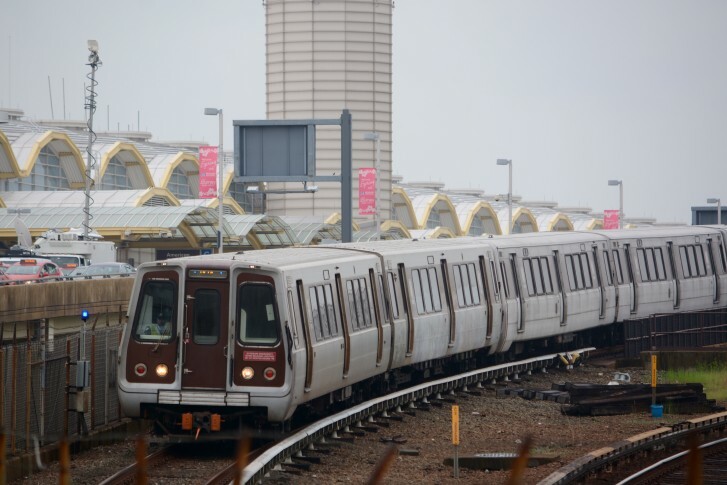 Blue and Yellow Line trains are scheduled to single-track between Pentagon City and Reagan National Airport. Yellow Line trains are scheduled to be cut back to run only between Huntington and Mt. Vernon Square, except after 10 p.m. each night. Next weekend, Metro plans to close the Blue and Yellow lines north of Reagan National Airport, with no trains Jan. 12-13 at Pentagon City, Crystal City or Pentagon. No track work is scheduled on other lines this weekend. In Baltimore, Maryland’s MTA encourages Ravens fans to take Light RailLink to Sunday’s playoff game against the Chargers. Metro had implemented the $2 Saturday fees nearly a year ago, and kept them for months after evidence showed the fees were turning off thousands of riders from using the system. Weekend ridership was already down separately due to regular track work. Metro is keeping Saturday parking fees for anyone who parks at one of 14 Metro lots but who has not just ridden the rail system. In order to avoid that non-rider fee, drivers must tap a SmarTrip card that has been used in the rail system to exit the garage. Exiting with a credit card would trigger the fee. Riders also now may have to pay for parking on days when there are large events such as July 4. Some changes begin Sunday for a number of Ride On bus routes in Montgomery County. Extended or additional service includes Route 52 to Our Lady of Good Counsel High School and Route 75 at rush hour to the Germantown MARC Station from Germantown Transit Center. Schedules have been changed for a number of other routes. Metrobus changes kicked in last weekend, which largely extended schedules to account for usual delays and canceled service on some routes on certain holidays. In Falls Church, Route 3T was extended to the East Falls Church Metro station, and at the Pentagon, a number of bus stops were shifted around. In the District, buses with destination signs that used to say they ended at Foggy Bottom Metro, such as the 31, 32 and 36, now say they end at Potomac Park, the actual turnaround point near the State Department.